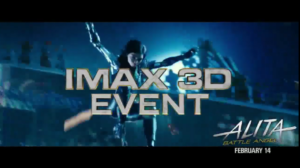 The upcoming James Cameron-produced blockbuster Alita: Battle Angel will be released with the intention of maximizing a 3D audience. For domestic IMAX locations, there won’t be any IMAX 2D screenings available. Further, Dolby Cinemas will present the film in 3D, something which is very rare for that premium format. A domestic IMAX 3D-only distribution is especially surprising as just in 2017, IMAX had planned to move away from 3D releases and even commit to some 2D-only runs. Currently, TV Spots market the film as “the must-see cinematic 3D event of the year” as well as “the ultimate IMAX 3D event of the year”. In the United States, where 3D has become increasingly less popular with moviegoers, that is highly unusual. James Cameron, whose 2009 hit Avatar was a pillar of its rise, has indeed been trying to maintain 3D during its downtimes. In 2017, he rereleased the original Terminator 2: Judgement Day in the format. That would turn out to be the last such 3D rerelease, years after movies such as The Lion King and Titanic grossed tens of millions being rereleased that way during 3D’s prime years from 2009 to 2012. Terminator 2: Judgement Day‘s 3D rerelease only grossed a little less than four million dollars worldwide, compared to the over four hundred and forty million Titanic made with its 3D rerelease back in 2012. Given the millions it can cost to post-convert a film, such rereleases simply made little financial sense anymore. Nowadays, many domestic multiplexes tend to grant one auditorium for 3D showtimes and multiple to 2D ones. After a few weeks into an original run, it is highly unlikely to find a U.S. theater still playing a title in 3D. 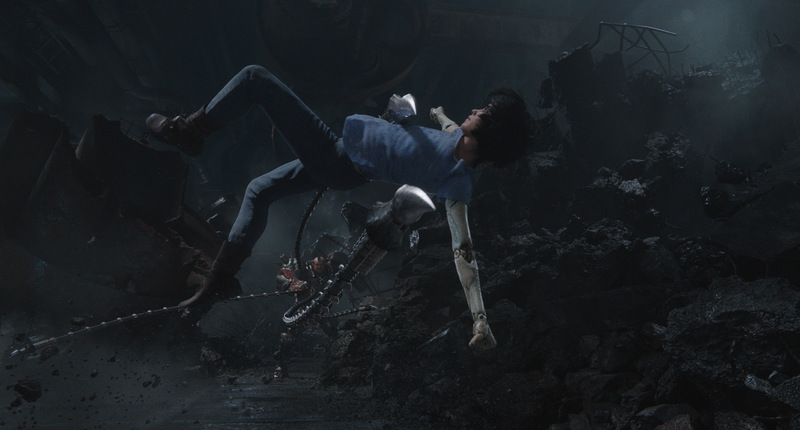 Alita: Battle Angel has around 40 minutes of footage shot with IMAX 3D cameras. The film was shot in “native 3D”, according to its director Robert Rodriguez who calls himself a “huge 3D proponent”. Other filmmakers such as James Wan and Chris Miller have embraced the 3D for their films, while stating that they generally weren’t fans of it. 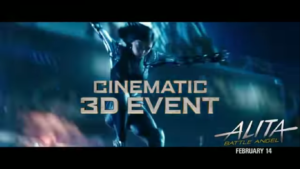 Who knows: maybe James Cameron’s Alita and his upcoming Avatar sequels will indeed have the domestic marketing necessary to bring back some love for 3D among U.S. audiences. James Cameron (left), the producer, and Robert Rodriguez (right), the director of “Alita: Battle Angel”. Image: 20th Century Fox.